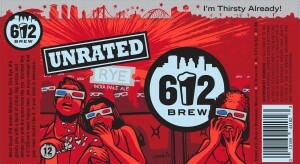 SIX, Unrated Rye and Gateway Park, will now be available at local retail stores in six-packs of 12 oz. cans. In 2014, 612BREW expanded its northeast Minneapolis brewing facility. The brewery added tanks to increase production, and a private “cellar” area for parties and events. In the coming year the brewery expects to nearly double its market share with the addition of the new canning line and retail partners. 612BREW has also hired Great American Beer Fest silver medal-winning brewer, Austin Myhran, and expects to bring on additional staff to help on the packaging line in anticipation of the increased production. 612Brew purchased Wild Goose canning line of Colorado for its small footprint and solid reputation. Kasak and his team chose cans over bottles for their lightweight packaging, environmental benefits, and their ability to protect beer from light and oxygen. Renowned local artist, Adam Turman, was hired to create three unique can designs. Adam also painted the mural that adorns the taproom. Standing out in primary colors of bright red, yellow and blue, the cans are sure to draw attention on store shelves. Each can tells the story of the beer within. 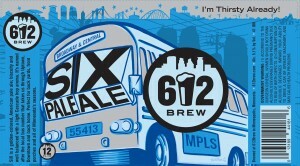 SIX features a Metro Transit bus, as the beer is named for the number 6 bus line that travels through Minneapolis. Unrated features a movie theater theme as a nod to the recent dispute with the Motion Picture Association of America. Pre-prohibition lager Gateway Park goes back in time with imagery of downtown Minneapolis in the late 1800’s. 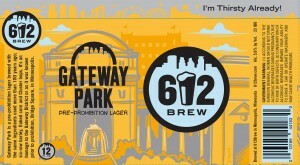 612BREW has partnered with Bernick’s distribution to make their beer available in liquor stores across the Twin Cities metro area beginning February 16. 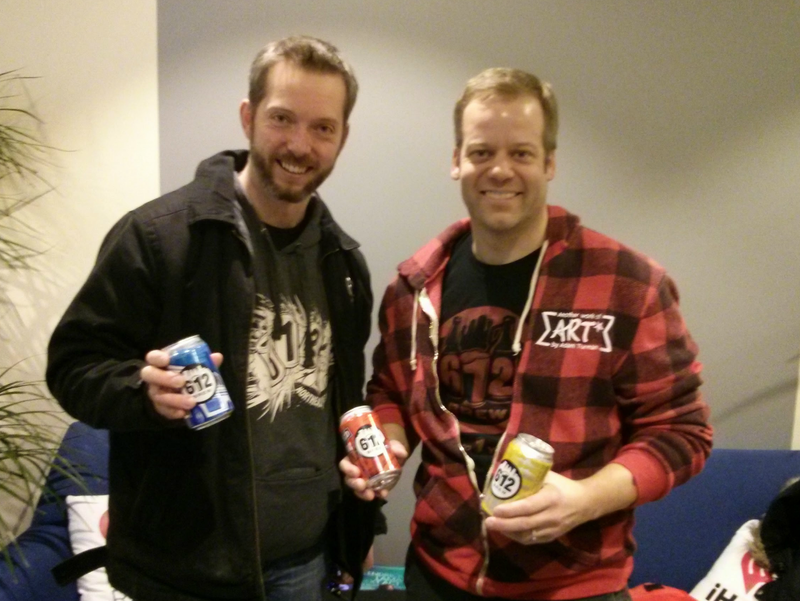 Hear more about the cans, the art, and more on the latest episode of the Minnesota BeerCast.